Advancement at Arora Engineers, Inc. - Arora Engineers, Inc.
Congratulations to those who have recently been promoted at Arora Engineers, Inc.! Jocelyn Dugdale Bernhardt has been promoted to Director, Mid-Atlantic. 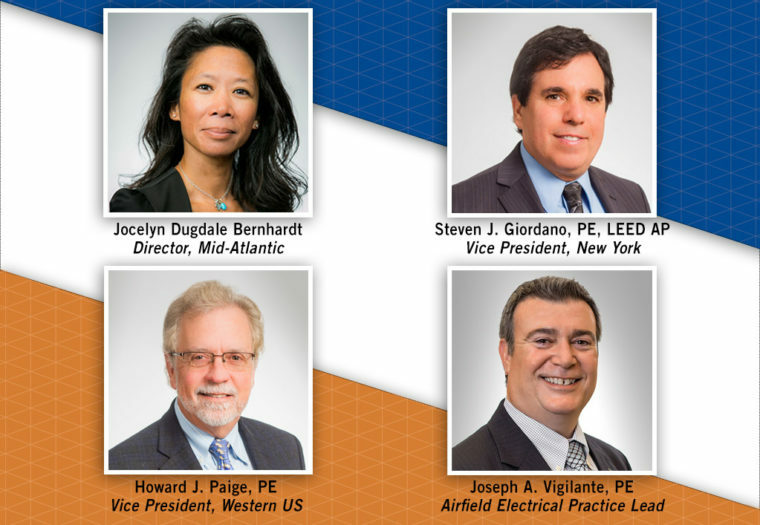 Steven J. Giordano, PE, LEED AP has been promoted to Vice President. Howard J. Paige, PE has been promoted to Vice President. Joseph A. Vigilante, PE has been promoted to Airfield Electrical Practice Lead.